A Professor of Computer Science at the University of California, Berkeley, he is recognized as one of the pioneers in processor design. He has worked with computer graphics, geometric modelling, and on the development of computer aided design (CAD) tools for circuit designers. Since 2001 he has been Associate Dean, Capital Projects, at Berkeley’s College of Engineering. During his tenure at Berkeley he has directed the research of 27 Ph.D. students and has supervised 77 graduate students in the completion of their Master’s Theses. Every year he is also working with several undergraduate students on individual study or programming projects. He was born in Zurich, Switzerland, and holds the Baccalaureate type C (in Math and Science) from Basel, Switzerland (1960); the Diploma in Experimental Physics, University of Basel, Switzerland (1965); and a Ph.D. in Experimental Physics, from the Institute of Applied Physics, Basel (1969). 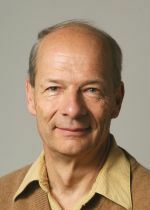 Having received his doctorate, he went on to work at the Institute of Applied Physics in Basel on the interface physics of MOS transistors and problems of applied electronics in the field of cybernetic models; a transdisciplinary approach for exploring regulatory systems, their structures, constraints, and possibilities. From 1970 to 1976 he worked at Bell Telephone Laboratories in New Jersey on the design and investigation of charge-coupled devices for imaging and signal processing applications. While at Bell Telephone Laboratories he was introduced to computer graphics in lectures given by Ken Knowlton. In 1977 he joined the Faculty in the Electrical Engineering and Computer Science Department (EECS) at Berkeley - initially he taught courses on the subject of very large-scale integrated (VLSI) circuits, thereby endeavoring to build a bridge between the CS division and the EE faculty. He introduced the concept of RISC processors with David A. Patterson in the early 1980s. Reduced Instruction Set Computing (RISC) is a CPU design strategy based on the insight that a simplified instruction set (as opposed to a complex set) provides higher performance when combined with a microprocessor architecture capable of executing those instructions using fewer microprocessor cycles per instruction. A computer based on this strategy is a reduced instruction set computer, also called RISC. He was head of the Computer Science Division from 1980 to 1983. Since then he has worked extensively on computer graphics, geometric modelling, and on the development of computer aided design (CAD) tools for circuit designers, architects, and for mechanical engineers. He was a member of the group that demonstrated the first solid-state CCD camera compatible with the U.S. commercial television format and he holds several patents related to that technology. His expertise in computer graphics and geometric design led to his involvement with sculptors of abstract geometric art. Since the mid-1990’s, his work in computer graphics and in geometric design have provided a bridge to the world of art. In collaboration with a few sculptors of abstract geometric art; in particular with Brent Collins of Gower, MO, he has found yet another domain where new frontiers can be opened through the use of computer-aided tools. He is a Fellow of the Association for Computing Machinery (ACM), a Fellow of the IEEE, and has been elected to the Swiss Academy of Engineering Sciences. He is the recipient of the IEEE Computer Society’s 2003 Technical Achievement Award Recipient, "For outstanding contributions to design tools for computer architectures, computer graphics, industrial CAD/CAM and artistic expressionism"; the Diane S. McEntyre Award for Excellence in Teaching; and an Outstanding Service Award from the University of California for Exceptional Leadership in the Conception, Design and Realization of Soda Hall.